In 1983, at the age of 11, when I started buying music, I bought the album Throw The Warped Wheel Out by Scottish new wave band, Fiction Factory. It was an album bought on the strength of one song, the number 6 hit (Feels Like) Heaven, a song I really, really loved. Unfortunately the album, to be kind, didn’t live up to my expectations; it’s an album I played probably two or three times before it slipped into obscurity within my record collection. It is therefore no surprise that since then I’ve been reticent about buying albums on the strength of a single. 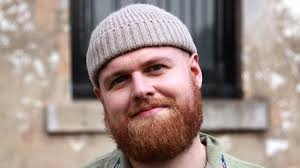 Listening to radio in the last few months you’ll have done well to have avoided hearing ‘Leave A Light On’ by Scottish singer songwriter Tom Walker. A massive hit it led to Walker being announced as a breakthrough artist at the Brit Awards and exposure on national stations. Well deserved exposure on the basis of this song that has culminated with the release of his debut album ‘What A Time To Be Alive’. You’ll understand the trepidation I feel, though, in diving into this work of 14 tracks which hit the shelves on the 1st of March. Perhaps I should get over the quibbles I have first. I have a pet peeve with albums which is the front loading of albums with the singles with this release falling into that trap; ‘Leave A Light On’ is track 2 following up another single ‘Angels.’ To me it gives an album the feel of being made to please a record company executive as opposed to being what the artist wants. The record company influence also, for me, pervades further with this album being over long; 14 songs that feels more like a collection of songs than a fully formed album. Personally I’d have taken at least two songs off, maybe the two songs featuring other performers, and kept it a bit more punchy and to the point. All that said the 14 songs on the album are all very good. Walker sings with an honesty in his voice and lyrics that allows you to believe that he has lived the life he is singing about. It’s hard not to compare Walker with Ed Sheeran, which is fair given the fact they’ve both worked with Steve Mac for instance and given the subject matters they both cover. With Walker, though, it is genuine and not obviously an act. This is a performer who has lived the life and has put all his experiences into his music, something, for all his success, I never get with Sheeran. For this fact Walker’s album is a bright start on a career. It isn’t that Walker is an overnight success per se either. Or rather he is an overnight success but after working hard to get in that place. Something that adds a unique sound. Walker seems happy to sing in a voice that is most defiantly his own, there is no attempt to smooth off the edges. Like earlier contemporaries such as The Passenger, Walker hasn’t been ruined by over production and attempts to modulate or moderate the genuineness at the heart of his performance. Leading on from the likes of Arctic Monkey’s Alex Turner, Tom Walker enthuses his songs with the voice he grew up with as well as the influences around him, a talent which shows a commitment to being their own person through their art. This commitment is what makes this collection of songs a success and which bodes well for the future. Hopefully, Walker will, in the future, be trusted to develop his art in creating new work, learning from the experience on this album to more release better and better work. 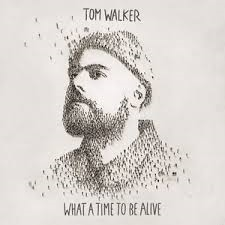 ‘What A Time To Be Alive’ gives enough reason to look forward to the future for Tom Walker whilst being a good enough work to be enjoyed and cherished while we wait for what comes next.